Borussia Monchengladbach vs Augsburg predictions for this weekend’s German Bundesliga. Can Gladbach further strengthen their hold on the top four when they take on Augsburg at Borussia-Park on Saturday? Read on for our free betting tips and match preview. Borussia Monchengladbach’s 1-0 win away to Leverkusen last weekend was the perfect way to show their intent in 2019. Gladbach’s position slipped towards the winter break after taking just seven points from their closing five games – it was no coincidence that this linked with the drop in form of Belgian international Thorgan Hazard – and such a result should springboard them into a strong run of form. French forward Alassane Plea, who scored just one of his ten this season in the last six outings of 2018, was back to his best and the man who got his name on the scoresheet in that win too. Coach Hecking will hope the duo continue to play to their strengths in an attacking trio alongside captain Lars Stindl. There are better away trips to start the year than facing a resurgent Gladbach side that boasts one of the Bundesliga’s strongest home records in 18/19, especially if you’re a club in a position like Augsburg’s. Manuel Baum’s men are without a win in their last nine league matches (D3 L6) and have consequently fallen to within a point of the relegation play-off spot. Goalkeeper Gregor Kobel has been brought in on loan from Hoffenheim to provide competition between the posts, but he conceded two in his first appearance for the club in last weekend’s 2-1 defeat at home to Dusseldorf. Unfortunately for Augsburg, it’s hard to think they’ll not be going through the same motions again this weekend. The Bavarians are one of the most out-of-form sides in the Bundesliga, and it’s hard to see their poor travelling record (W2 D2 L5) giving them much hope against Gladbach’s stellar one at Borussia Park. Dieter Hecking’s men are the only side to have won every home outing so far this season (W8) and Die Fohlen have been free-flowing in front of goal too. Gladbach have scored three goals or more in five of their last six home outings in the Bundesliga, while Augsburg haven’t kept a clean sheet on the road all season. It’s hard to criticise Borussia Monchengladbach much at all really, and it’s worth noting that their recent drop in form was over a run of fixtures that included away trips to Hoffenheim and Dortmund. Players like Plea, who has cemented himself as one of the signings of the summer (10 goals in 18 appearances), and midfielder Thorgan Hazard, who’s also come into his own this season (9 goals in 18) should have a field day against this shaky Augsburg defence, and with Augsburg not the most prolific scorers, we feel the tight Gladbach defense – Die Fohlen have kept a clean sheet in 62% of their home outings – will see them to a comfortable home win. Our prediction: 2-0 Borussia Monchengladbach. Augsburg are winless in four Bundesliga matches against Gladbach (D3 L1) – their worst-ever run. They haven’t beaten the Foals since December 2016 (1-0 at home). Gladbach beat Augsburg 2-0 when the sides last met at Borussia-Park. However, they are yet to record consecutive home victories over the Swabians. Gladbach have lost just one of their last five league outings (2-1 vs Dortmund, otherwise W3 D1). They beat Leverkusen 1-0 last time out and now have the chance to start a calendar year with consecutive wins for the first time since 2015. 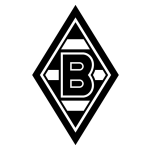 Gladbach have 36 points on the board (same as 2011/12) – they haven’t been better off at this stage since 1976/77 (39; joint club record). Gladbach have won 11 consecutive home Bundesliga matches – one short of the club record (12; set under Jupp Heynckes in 1983/84). Gladbach have conceded 2,497 Bundesliga goals to date – three short of an unwanted milestone. 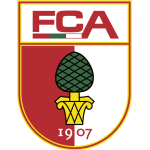 Augsburg are winless in nine Bundesliga matches (D3 L6) – one short of the club record (10; October-December 2012). Augsburg have 15 points on the board after 18 Bundesliga games (same as 2011/12) – they haven’t been worse off at this stage since 2012/13 (12). Augsburg have kept a league-low one clean sheet this term (same as Hannover). They had managed at least by the 18-game mark in each of their previous seasons. Augsburg’s Jonathan Schmid scored from a direct free kick last time out, becoming the first FCA player to net two within a single campaign in the process. The Swabians have scored a league-high 13 goals from restarts this term.